This product is so yummy, I will never try another serum. As a 50 + yr old mature man, I have tried a number of anti aging facial skin care products designed specifically for men but had not found the right balance of quick results and long lasting benefits without that heavy creme or oily feel after several hours. 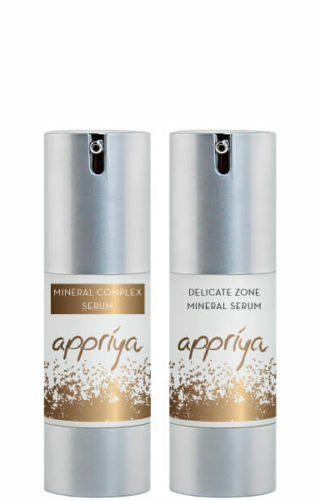 After a friend introduced me to Appriyas Delicate zone Serum and day and night creme, i am hooked! These products are amazing and exactly what I am looking for. Guys, not to worry about smelling like Lavender, he best part is they are fragrance free and mineral water based. I’m on my third order and while it’s a bit above my typical spend for comparable products, it is worth every penny! The use of Appriya has been life changing! I suffer with dermatitis which affects the surface area of both hands. They sting, itch, peel and often disturb my sleep when they are “flaring”. Visits to the dermatologist, various prescription topical creams and even antihistamines have provided some short lived relief but no cure. After two days of use, the my hands were much improved. After four days, the stinging, itch and irritation have subsided. I notice an improvement in the texture and appearance of my skin, not to mention that my hands are not waking me up any longer. THANK YOU APPRIYA!!!! I started using the Mineral Complex Serum about four weeks ago and it’s like I have a new face. My skin is smooth and even toned with a dewy radiance to it. This product is amazing! 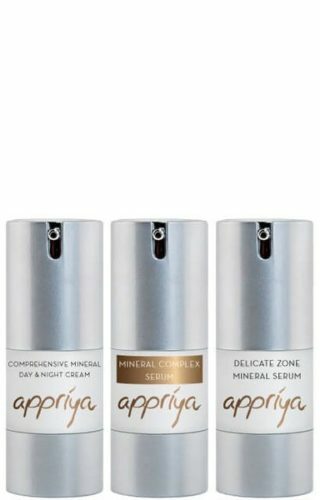 The serum is by far my favorite of all the products appriya offers. My only complaint is that it runs out too quickly and there isn’t enough! 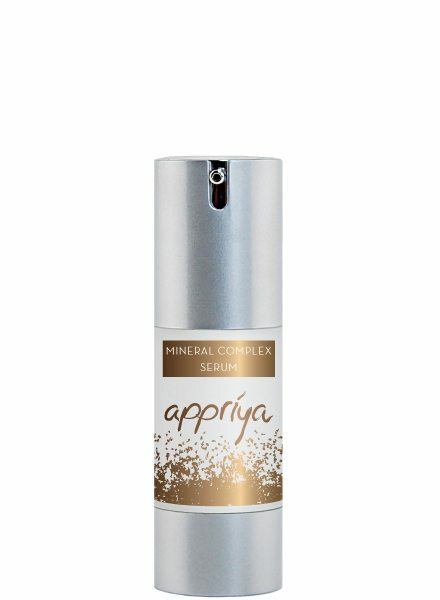 It feels light on your face and creates a great base for any other products (appriya or other) that you layer on top. My skin has never felt silkier or looked more even! Best Product of All Time! I’ve tried EVERY luxury and medical skincare line around…and this product is my hands-down favorite of all time. It will leave your skin looking younger in every way – tone, texture, brightness, moisture. What also truly amazing is how much it reduces my broken capillaries around my nose. I’ve never had success with other products reducing them. Turned on several friends and it reduces all of our individual, unique concerns. Worth every single penny. I am really glad I had the opportunity to get my hands on this product. I live a very active life and am constantly exposed to the sun living in Miami, FL. Because of that, I began to notice some brown spots on my face. 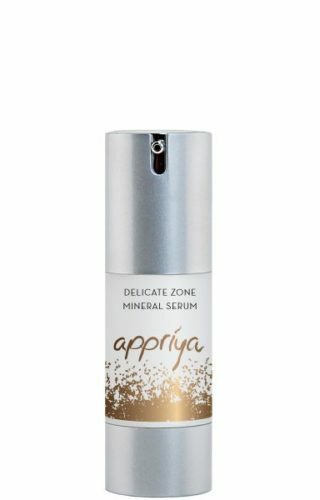 Thankfully, I have been using this serum and I along with my esthetician have noticed that my skin has improved and the brown spots are fading.